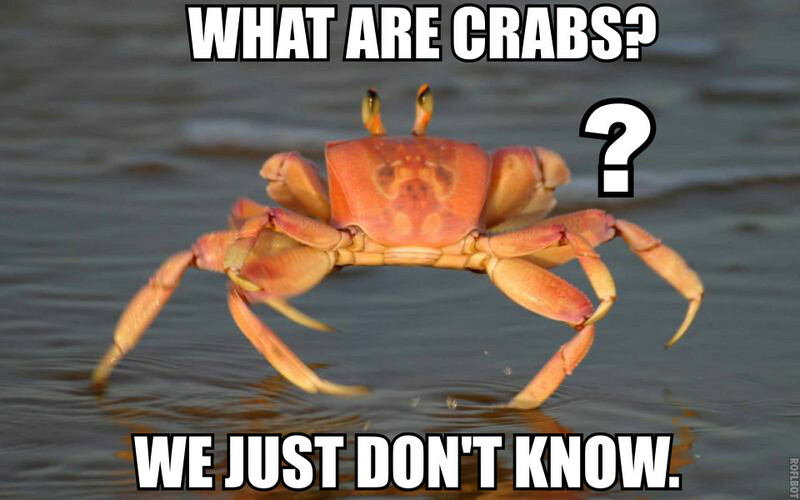 Carcinisation – Page 3 – One of nature's many attempts to evolve a crab. For the purposes of this article I will be using Tumblr drama to mean roughly “publicly calling out some entity’s ethical transgression (and ensuing discussions)”. Starting with the obvious: not all Tumblr drama is created equal. In determining whether a particular contribution to the Tumblrdramasphere is positive or negative, I am concerned primarily with three classes of affected people and two classes of effects. Also consider how speaking will change you. Acts become habits. What makes any particular answer I might give “objective” or “honest”? Or alternatively, what makes the process by which I arrive at my answer “objective” or “honest”? The answer is objective & honest if it is, in fact, justified & true (faithfulness to facts). The answer is objective & honest if it fairly presents all reliable points of view, weighted by their reliability and by consensus of expert opinion (NPOV). The answer is objective & honest if it was arrived at by my best effort as an epistemic agent, either eliminating or acknowledging personal biases, conflicts of interest etc., and steelmanning alternative positions (process objectivity). People who have read Hanson or Taleb may want to turn the “no conflicts of interest” part on its head and assert a need to make a bet or to have “skin in the game”; i.e., a real-world incentive aligned with truth-seeking. Some have suggested discussing updates on evidence, rather than discussing posteriors directly. All possible answers are necessarily factional. “Objectivity” is not a coherent goal, but the most honest answer simply presents my factional view and reasons for it, while neither attempting to conceal which faction I belong to or the existence of other factional views, nor making special efforts to do them justice (factionalism a la Moldbug). The answer itself is the wrong level of analysis; you would be better off scrutinizing whether the answerer is an epistemically virtuous and responsible person (virtue epistemology). I’m not really thrilled with any of these, but I don’t have a great alternative to offer up. (1) is charmingly simple, but too outcome-oriented; I don’t want to condemn a wrong answer that’s due to bad epistemic luck. (2) is exploded by the need to cash out “reliable” and “expert” and “consensus” in ways that aren’t blatantly factional. (3) is the position I am most attracted to (is that too obvious?). My problem with it is not its unattainability – after all, this definition is only meant to be an ideal to aim at. Rather, I fear that each additional attempt to eliminate bias represents another free variable for Rationalization to play with, in service of the Bottom Line. (4) seems unattractively defeatist or self-serving, and “denies the phenomenon” – I can remember occasions on which I believe people were genuinely objective and honest in their presentation of evidence/beliefs to me, although it’s hard to put my finger on what convinced me of this. (5) comes in second place, but I’m skeptical that people are reliably epistemically responsible from day to day or across domains. What do you think? I suppose defining objectivity was just a jumping off point (perhaps an excessively abstract one); I’m more interested in the conditions under which you are willing to trust somebody’s statements on a controversial question. In all species, the play of the young is practice for the essential survival tasks of the adults. Human children play at many things, but the most important is the play of culture. Out of sight of adults, children learn and practice the rhymes, rituals, and institutions of their own culture, distinct from that of adults. The Western child today is mostly kept inside his own home, associating with other children only in highly structured, adult-supervised settings such as school and sports teams. It was not always so. Throughout history, bands of children gathered and roamed city streets and countrysides, forming their own societies each with its own customs, legal rules and procedures, parodies, politics, beliefs, and art. With their rhymes, songs, and symbols, they created and elaborated the meaning of their local landscape and culture, practicing for the adult work of the same nature. We are left with only remnants and echoes of a once-magnificent network of children’s cultures, capable of impressive feats of coordination. Iona and Peter Opie conducted an immense study of the children’s cultures of the British Isles. The Lore and Language of Schoolchildren (1959) is comparable in richness to Walter Evans-Wenz’ The Fairy-Faith in Celtic Countries (1911) on the fairy faiths, or to Alan Lomax’ collections of American and European folk music. Boundaries are the forms that shape communities and civilizations. Without boundaries, communities cannot come into existence. These social boundaries are even mirrored in our cognition: common thoughts give us access to ordinary, related concepts, including common knowledge, but certain thoughts are relatively fenced off and rarely brought to mind. Communities of all sizes are bound by their notions of the sacred. A violation of community sacredness – from casting aspersions on the rite of voting to mocking a family tradition – is experienced by community members as a kind of pain. This is one mechanism by which communities and their sacredness are maintained. People hurt each other, if “only” psychologically, when they violate each other’s sacredness. A Christian who has a lot of social contact with non-Christians must build up a tough shell in order to withstand the (often accidental) violations to his sacredness that others are bound to make. It is much less painful for him to mainly interact with others who share his notions of the sacred. When a Christian and an atheist are good friends, however, each undertakes to feel the sacredness of the other, gaining the ability to be (vicariously) pained by its violation. They can speak easily on all topics without hurting each other, because each has learned to feel the other’s sacredness on his behalf. This is a precondition for intimacy.